Netflix bulls are living in fantasyland. 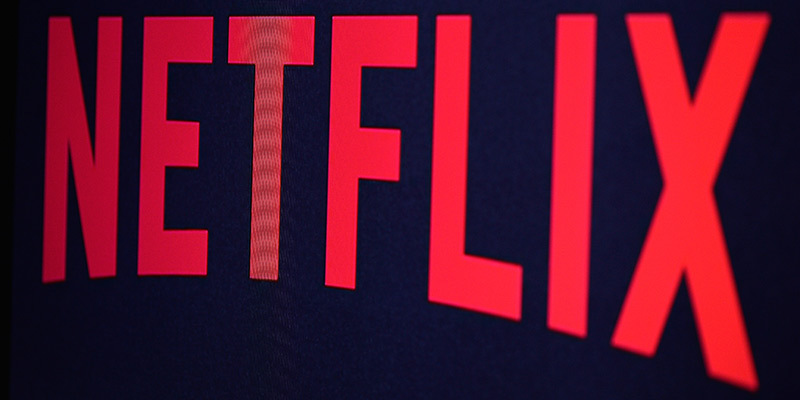 As you may have heard, Netflix (NFLX) bombed on earnings results last week. Its stock plunged 14% on news that it fell short of its growth target by one million subscriptions. In early July I wrote you explaining why Netflix was in big trouble. If you sold NFLX after reading that essay, nice call—you sold on the highs and avoided the bloodbath. If you still own Netflix… or you’re tempted to “buy the dip”… please don’t. 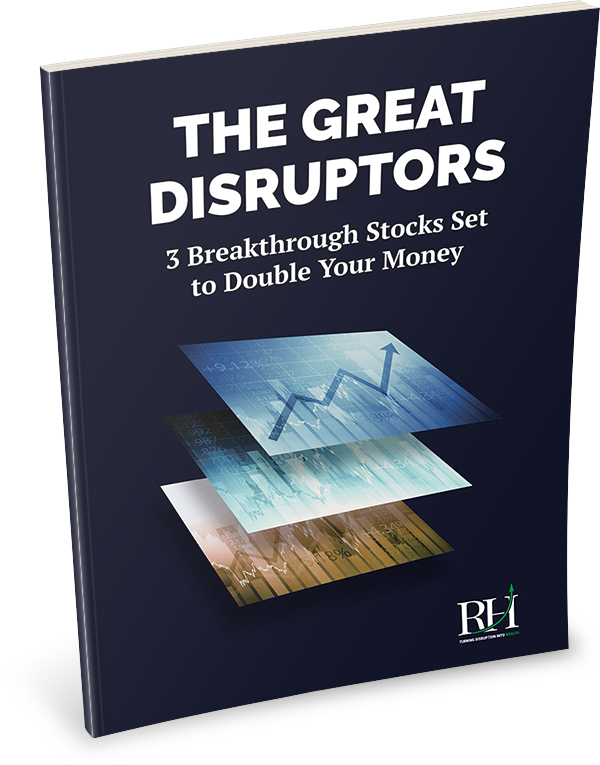 It has exploded 8,100%+ in the past 10 years, outperforming even mighty Amazon (AMZN) by more than 3x. Everyone, including me, thinks Netflix’s video service is great. I’ll happily admit that Netflix is a great business. But it’s a lousy stock. The problems start with valuation. Even after plummeting 14%, Netflix is dangerously overpriced. It has a price/earnings (P/E) ratio of 165, compared to the S&P 500’s of 24. Using simple math, I’m going to show you why anyone who believes this is living in fantasyland. 57 million of these are in the US, with the other 73 million scattered around the world. According to the US Census Bureau, there are 126 million households in America. Which means around 45% of US households already have a NFLX subscription. Big Four accounting firm Deloitte found that 55%, or 70 million, US households subscribe to a streaming service. So even if every streaming household were to subscribe to Netflix, that’s only another 13 million “potential” customers. That’s a pretty low ceiling from where Netflix currently stands. In the first six months of this year, the company spent $456 million on marketing in the US—double what it spent last year. It acquired 2.66 million new subscribers, which works out to a cost of just over $170 per new user. That’s a huge 160% jump from the $65 cost per new user it enjoyed just two years ago. Netflix’s standard package costs $10.99/month. At a customer acquisition cost of $170, it takes almost 16 months to break even on a new user. And keep in mind its acquisition costs are rising rapidly. Can international subscriber growth save Netflix? In the past year, NFLX has added 4x as many international subscribers as US ones. The company expects around 75% of growth to come from international markets. So this is by far the most important segment to watch. NFLX’s subscriber growth rate has risen at around 17% per year. To continue growing this fast, it must add over 30 million new users next year… 35 million in 2020… and 40 million in 2021. My research shows it will probably struggle to add even three million new subscribers/year in the saturated US market. Which means nearly all of this growth must come from international markets. As I’ve said before, it all comes down to content. Remember, Netflix has achieved its incredible growth by blowing up the TV distribution model. It ate the lunch of cable companies that used to be the gatekeepers of what people watch. But as I’ve explained, distribution isn’t all that important anymore. Thanks to the internet, we can watch practically anything we want anytime we want. Great content is what really matters today. NFLX has proven it can make good content for a US audience. But to achieve international success, it needs to do so in countries as diverse as France, India, Mexico, and Brazil. For the most part, TV is a “local” thing. Americans like to watch American shows. Brazilians like to watch Brazilian shows. Which means NFLX must make “local hits” to attract the masses in these countries. So far, it has failed at this. Frankly I don’t know if it’s even possible for one company to become a content expert across a dozen different countries with a dozen different languages. But even if it is possible, NFLX doesn’t have the cash to pull it off. It has spent a jaw-dropping $5.36 billion on content in just the last six months. Its spending on content has grown at an annual rate of 50% in the past five years. Which is significantly faster than the rate at which its sales have grown. This new content has helped bring in 20 million international subscribers in the past year. But it has come at massive cost. The $5.4 billion it spent developing content in just the past six months dwarfs the $1.3 billion in profit it’ll earn this year. NFLX has been borrowing to make up the difference. Its debt has exploded from $2.37 billion in 2016 to $8.34 billion today. To be clear, I admire NFLX. It’s a great company and a (marginally) profitable business. CEO Reed Hastings has made all the right moves in building it into a media juggernaut. I expect he’ll continue to guide the business to growth and profitability. It’s not his fault that investors have bid NFLX stock to the moon. But that’s the reality. Today, NFLX trades for $363. Based on its profit forecast of $1.3 billion this year, and the average valuation in its industry, its “fair value” is around $119. The average valuation in its industry, by the way, is 40x earnings. So valuing it this way isn’t exactly conservative. Still… I’ll entertain the idea that NFLX stock deserves a nice premium. It does have a stellar management team, explosive growth, and has pulled off some incredible accomplishments. If we’re generous, Netflix is worth maybe… MAYBE… $190–$200 a share. Problem is, that’s still almost 50% below its current price. When I warned you about NFLX three weeks ago, I also recommended you buy Walt Disney Company (DIS). Last August, DIS announced it will launch its own streaming service. I’m convinced Disney will crush NFLX to become the #1 streaming service within a few years. Since we last discussed DIS, it has grown even stronger. On July 19, it closed a deal to buy 21st Century Fox (FOXA). Disney, which already has the world’s best content, now owns even more of America’s favorite programming. Fox’s film studio which has made Oscar winners like Avatar, Titanic and Slumdog Millionaire. The X-Men franchise, Modern Family, National Geographic channel, and The Simpsons. And perhaps most importantly, a 60% controlling stake in America’s second-largest streaming service, Hulu. Keep in mind, DIS already owns household names like Marvel… Pixar Animations… Star Wars… ESPN… ABC. It has produced the world’s top-selling movie in six of the past seven years. When “Disneyflix” debuts, it’ll be a no-brainer purchase for most families. And remember, DIS will be pulling all this popular content off NFLX. DIS is up a bit since I recommended it, but it’s still a great buy at today’s price of $113. I expect it will be a long-term holding for us. If I could stamp a warning label on this issue, I would. Lots of people will read this essay and conclude that Netflix is a good short. Don’t do it. Don’t short Netflix. As you can plainly see from its 165 P/E ratio, Netflix stock isn’t driven by fundamentals. It’s driven by the enthusiasm of investors, which is totally unpredictable. There are much easier and smarter ways to make money in the markets than shorting a stock powered by the lofty dreams of investors. Like owning Disney. That’s it for today. I’ll be in touch next Thursday. As always, feel free to write me at theriskhedgereport@riskhedge.com.